I possess skills in the following areas: Marketing, Visibility, Communication, Social Media, Interactive Multimedia design and integration, Usability, Cultural Experience Design and Photography. I prefer working in Museums, in the Culture and Tourism sector, where I have matured almost 25 years of experience. I've been involved in several sectors including: multimedia and communication since 1984, museums and culture since 1992, visibility & marketing since 1995 and professional photography since 2007. I’ve been a guest author, with an essay on “museums and e-communication” in the second edition of “Museums Marketing and Strategies” written by Philip, Neil and Wendy Kotler. My strong personal and professional worldwide network contacts add value to my skills. 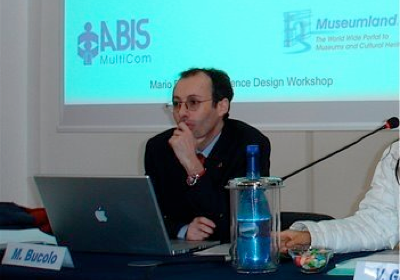 I’m active Member of ICOM (a candidate for Italian Comittee presidency), Americam Association of Museums (Pram and Care committee), Africom, Italian Professional Photographs Association. I would gladly like to offer my professional services and accept assignments worldwide, including lectures in selected international events. My main residence is in Italy, however I travel often for business in North America. Please fell free to ask my Curriculum for a complete list of references, awards and pubblications.